EXO commemorative medals will be released next month. 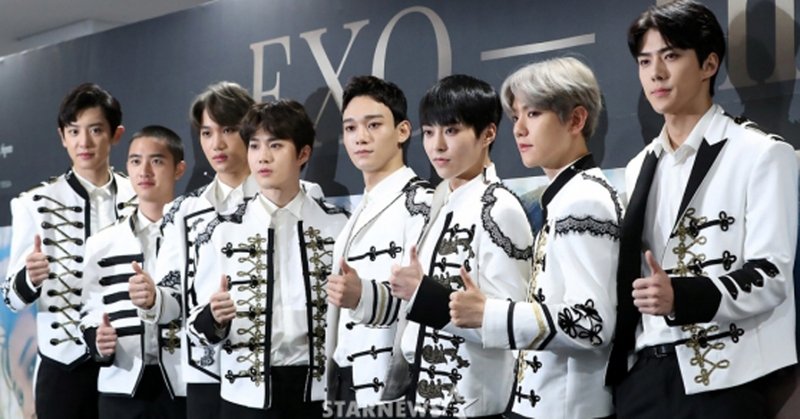 KOMSCO (Korea Minting, Security Printing & ID Card Operating Corp. - or Korean national mint) announced on March 12 that, starting with EXO, every month K-pop stars contributing to the spread of the Korean "hallyu" wave would be commemorated with a medal. The face of the medal will feature the face of each EXO member, and the back will feature an EXO logo as well as patented anti-counterfeiting measures. Each medal comes with a warranty, with unique serial numbers to each product. Having debuted in 2012, EXO recorded over a million sales of all four albums released, earning the title of a 'quadruple millionaire.' The group's hit 'Power' was the first to be selected as a music for the renowned Dubai fountain show, and the boy band has graced the closing ceremony at the 2018 PyeongChang Winter Olympics.